Heriot-Watt Dubai strengthened its international business ties when it hosted its first trade mission for the construction market at its Dubai campus. The University are pleased to announce the partnership with Scottish and British SME corporations, public sector organisations, and innovation centers. An international digital construction trade delegation was hosted at the Dubai campus in order to exchange knowledge, develop professional training programmes and to form collaborative research and development funding opportunities. The partnerships in the construction industry include several highly prestigious organisations in private, public, academic partners and government authorities. Heriot-Watt Dubai are committed to respond to the growing demand of highly skilled professionals within digital construction technologies. This knowledge development is to promote the status of the UAE as a leading international hub of digital technology and innovative construction building and management practices. The delegation offers a number of opportunities which coincide with the regions National Strategy for Advanced Innovation. Heriot-Watt Dubai will be taking strides in collaboration with Scottish Development International (SDI), an international arm of the Scottish Government who aim to develop Scotland as a gateway to wider global markets. This is in order to create partnerships with local and regional organisations across the construction sector that can benefit from the latest market ready products, research-led innovations and disruptive digital technologies. The partnership will ultimately match necessary academic competencies with UK/UAE requirements to further develop knowledge exchange products, graduate apprenticeships, internships and employment. The structure of the delegation includes three core themes to create a Centre of Excellence which include Health and Safety, Sustainability and Enabling Technologies (AR/V/Robotics). These themes capture all cognate areas of digital construction technologies, including the opportunity to identify collaborative projects in each of the three themes. Heriot- Watt Services Limited (Oriam), Scotland’s national performance centre for sport. Heriot-Watt Services Limited is a private limited company registered is Scotland with registered number SC271030 and registered office at Research & Enterprise Services Heriot-Watt University, Riccarton, Edinburgh, EH14 4AS. 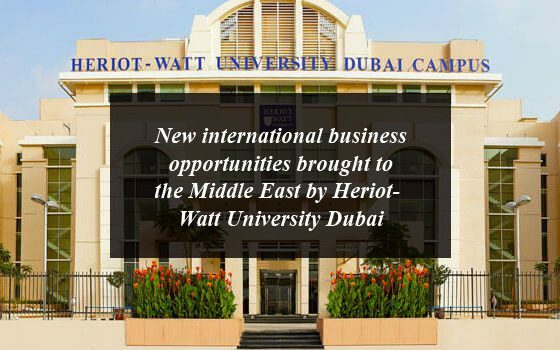 New international business opportunities brought to the Middle East by Heriot-Watt University Dubai. 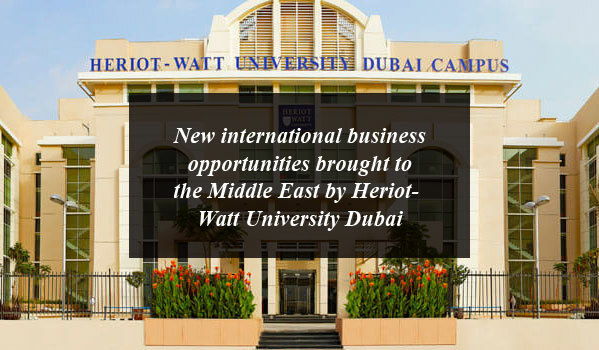 Heriot-Watt Dubai strengthened its international business ties when it hosted its first trade mission for the construction market at its Dubai campus.